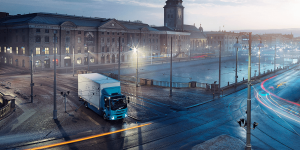 The Swedes’ financial arm, the Volvo Group Venture Capital AB, say they made an investment in Momentum Dynamics and their high power inductive charging technology. The start-up of Philadelphia is working towards 200+kW to charge heavier electric vehicles with no connection needed. 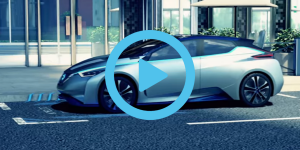 The Israeli company ElectReon Wireless, who is developing a solution for EVs to charge inductively while driving, through integrated chargers in roads, has entered a cooperation with the automobile manufacturer alliance Renault-Nissan-Mitsubishi. 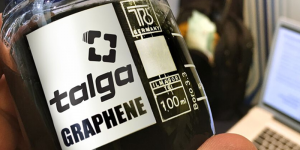 Talga Resources from Australia say they managed to mix enough graphene into concrete to make it conducive, meaning it could build roads able to charge an electric car while driving. Their concept is not entirely new but their foray into global markets is. 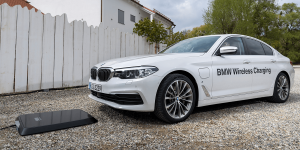 BMW is setting themselves a step ahead of the competition by selling a wireless inductive charging system as of July, called BMW Wireless Charging. 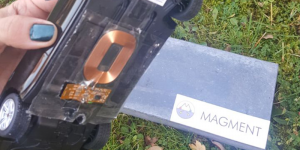 While companies have been presenting wireless charging concepts for some time, this marks the first major serial production of the technology. 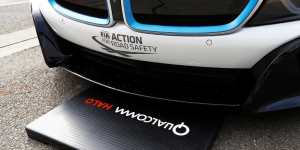 BMW has been pondering to offer wireless charging for its 530e iPerformance this year for some time. However, such induction will now become available first as an option for leasing customers only but production of the system is set to start this summer. 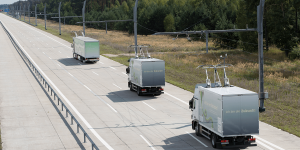 As part of the Swedish-German research collaboration on Electric Road Systems (CollERS), a holistic analysis of freight transport on roads will proceed, further expanding the move away from diesel on the continent. By 2022 China plans to construct a 161 km long stretch of highway, which will feature 6 lanes and integrated solutions for autonomous driving. In future, electric vehicles will be able to inductively charge while driving on the highway. Graeme Davison is the VP for Business Development & Marketing at Qualcomm and knows all about the state of wireless charging today. The technology is here, even for dynamic charging. The question is where to apply it first. 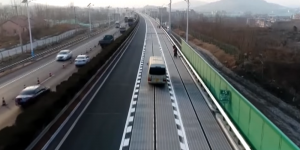 The 2 km-long photovoltaic pavement stretch opened in the Chinese city of Jinan a few days ago is already out of order. Unknown perpetrators stole one solar panel and damaged seven other ones. In total, the highway features 5,874 square metres of solar panels. 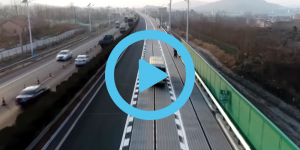 The Chinese city of Jinan started testing a 2 km-long stretch that is equipped with 5,874 square meters of solar panels. In future, electric vehicles driving on it, shall be able to charge inductively. In-road charging start-up ElectRoad has found a new investor in bus maker Dan Bus from Tel Aviv that wants to invest 2.2 million dollars. 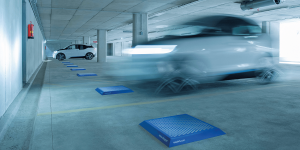 The Israeli company that had recently presented its dynamic inductive charging technology. UPS, Wireless Charging, Lexus, TUM. 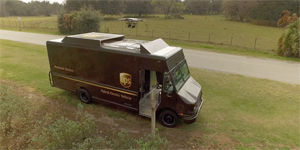 Hybrid drone delivery: UPS started tests with hybrid delivery vans that carry a drone pod on their roof. From there, the little octocopter called HorseFly launches, delivers a parcel and returns to the van, where it is caught by robotic arms to dock and charge. 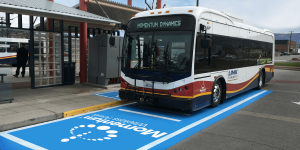 Wireless charging for e-buses: The 50 kW inductive charging system by Wireless Advanced Vehicle Electrification (WAVE) has been certified by Underwriters Laboratories. It allows to charge electric buses at bus stops with up to 50 kW wirelessly. Californian Antelope Valley Transit Agency will be first to use it and plans to buy 85 electric buses from BYD over the next 5 years. Lexus confirmed specs of the LS 500h hybrid powertrain ahead of Geneva. The partially electrified version of the luxurious sedan will share its powertrain with the LC 500h. The LS500h can run in EV mode to 140 kph. New tool for Li-ion battery research: Positrons have been used by scientists at the TU Munich (TUM) to investigate capacity loss in NMC batteries. So-called positron annihilation spectroscopy reveals voids in the lattice of the cathode material that block electrodes’s return upon recharging. BESIC, Chrysler, wireless charging, Evatran. Intelligent charging success: To charge batteries with green excess energy is sensible and economically viable. This is the result of the BESIC research project conducted at Hamburg harbour for 3.5 years. There, ten electric HGV ran with surplus green energy. The key was to develop a smart battery management that ensured charging when environmentally and operationally necessary. Fiat and Google autonomous together: FCA delivered 100 Chrysler Pacifica Hybrid minivans equipped with self-driving tech to Waymo, formerly the Google car project. The move fits Fiat’s plan to reveal a fully electric vehicle based on the Chrysler Pacifica at the CES in Las Vegas. Interoperability validated: Wireless charging bench testing has been completed and proves the interoperability and validity of the SAE TIR J2954. For the first time, interoperability between the so-called Double D (DD) and Circular Topologies has been demonstrated between 3.7 to 7.7 kW. 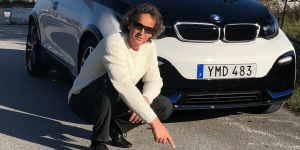 BMW i3 charges wirelessly at 7.2 kW: Evatran presents its inductive charging system for use with BMW’s electric car in the States. The 7.2 kW system translates to about 20 miles of range recharged per hour and applies to both the i3 and the range-extended version but costs 3,499 dollars. UK, China, Toyota, VW, wireless charging, BMW. Green transport: The British Government releases 21 million pounds in funding for sustainable travel initiatives. 23 councils will benefit from the money as they set up projects that promote all sorts of green transport, including cycling and walking. China’s tightest emission rules will be rolled out in Beijing by January 2017. Labelled the Beijing Six, the new fuel standards go beyond the Euro V norm and will limit car pollutants by up to an additional 20 percent in the capital. Beijing also plans to ban 400,000 trucks and mini buses that run on low-quality high-sulphur fuels from its roads over the next two years. Buying into the future: Both, Toyota and Volkswagen have announced large investments in ride-sharing. So far, only an MOU exists between Uber and the Japanese as Toyota first wishes to test the ground with special offers for Uber drivers for example. VW however committed 300m dollars to Gett and hopes to establish a legally independent mobility entity. 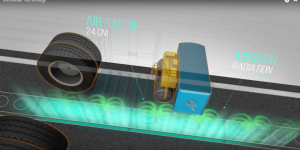 Wireless charging standard: SAE issues an industry guideline for wireless power transfer between infrastructure, vehicle suppliers and OEMs. The SAE TIR J2954 establishes a common frequency band using 85 kHz and further defines four classes of WPT power levels ranging from 3.7 – 22 kW. Electrified South America: An electric bus has entered service in Santiago de Chile. The BYD bus will operate free of charge in a bid to make the Chilean town more liveable. Montevideo, too runs a BYD electric bus. It is part of a pilot programme the capital of Uruguay set up. Both cities clearly see the low running costs as an advantage but shy away from the initial investment. Solar charged South Africa: The first BMW i solar carport has been unveiled at the tip of Africa. It feeds about 3,6kW of solar power straight to the BMW i Wallbox. BMWi carports will be installed in Johannesburg, Cape Town, and Durban for public charging from July 1. Schaeffler, inductive charging, Mission Electric, Corvus Energy. Hybridisation of manual transmissions: Schaeffler presented its E-Clutch transmission system. It enables fuel saving while “sailing” or driving electrically and can thus be integrated into vehicles with manual transmissions. The system works on three levels of automation that go from the help of an actuator to purely Electronic Clutch Management (ECM). 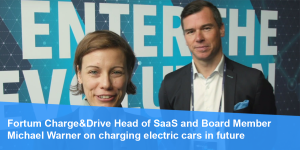 Inductive cooperation: Korean utility firm Korea Electric Power Corp. (KEPCO) and wireless carrier SK Telecom Co. join forces to push wireless EV charging technology. The same goes for “Vehicle to Infrastructure” (V2I) systems that connect cars with the road and conditions around them. New Mission: Electric motorcycle brand Mission Electric has been taken over by Vayon and will keep its focus on electric drivetrain and EV component development. Vayon will also provide further testing capabilities for the Mission Motor Company, including for high voltage batteries and climate chambers. LG Chem goes maritime: Corvus Energy announced a multi-year agreement with LG Chem to supply Li-ion cells for its hybrid and electric maritime ESS. They will power passenger and commercial vessels, both hybridised or fully electric. Most clicked link on Wednesday was our article predicting the beginning of the end of the CHAdeMO standard in Germany and the rest of Europe. Aston University, inductive charging, efficiency, TDK. V2G commercialisation: Aston University’s European Bioenergy Research Institute (EBRI) commissioned a permanent electric vehicle to grid (V2G) charging system first developed in Japan. 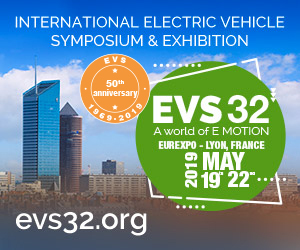 It is part of the EU project Itheca that will see the institute develop a smart control algorithm to optimise energy distribution between the grid and connected EVs. 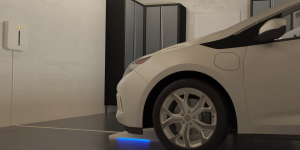 Testing inductive charging: Oak Ridge National Laboratory (ORNL) runs trials with wireless charging solutions from 6.6 kW to 10 and even 19 kW. Test mules are electric and plug-in hybrid vehicles by Toyota and Hyundai, including the Prius and Kia Soul EV. 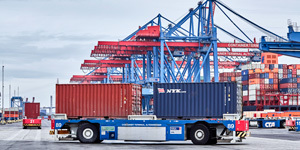 U.S.-China research: The DOE earmarked 12.5 m dollars for a consortium that aims to improve the efficiency of medium- and heavy-duty trucks. Hybrid systems are part of the initiative of the U.S.-China Clean Energy Research Center that sees R&D centres set up and funded in both countries. High voltage MLCCs: TDK expands its CGA range of its high voltage multi-layer ceramic capacitors. The new CGA6 and CGA9 series come with a rated voltage of 1,000 V. They are made for use in wireless charging units, DC-DC converters and on-board chargers in electric and plug-in hybrid vehicles. Most clicked link on Tuesday was BYD’s electric coach the Chinese manufacturer presented in Paris. The model has a range of 200 km. Inductive charging, Nimbus Boat + Torqeedo, CalCharge, Efficient Drivetrains. Wireless boost: Researchers from North Carolina State University and Carnegie Mellon University are working on making wireless charging more effective. Their Magnetic Resonance Field Enhancer (MRFE) uses a simple copper loop to augment transmission, making it at least 100% more efficient than transmission via air alone. Electrified yachts: Nimbus Boats Sweden and German Torqeedo agreed to develop yachts with electric and hybrid drivetrains. They are already working on a hybrid demonstration vessel that will cruise on Lake Starnberg, where the use of combustion engines is strictly limited. Battery development extended: With Toyota and Bosch, the California CalCharge platform has gained prominent new charter members. Both companies will now join in the development of energy storage technologies. Other new general members include Blue Current, Ensor, EnZinc and ITN Energy. New drivetrain factory: Efficient Drivetrains held a soft opening of its new 30,000-square-foot facility in Milpitas, California. 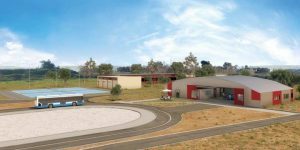 The facility will be used to manufacture electric and hybrid motors for on and off-road light, medium and heavy duty vehicles. Video tip: See the road through the “eyes” of Google’s self-driving car and understand how it makes decisions autonomously. The video is guided by Chris Urmson, who heads up Google’s driverless car programme. Reading tip: From the Economist comes a thorough run through of inductive charging technology with respects to all technologies that it could affect, like drones and phones. But the main focus is on the automotive sector. 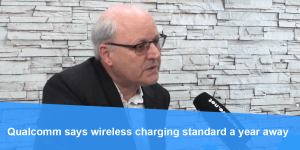 Wireless charging in Spain, How much do PHEVs plug-in? Video tip: This episode of Futuris from Euronews visits a cable-less charging station in Spain developed within the EU-supported Unplugged project to explain inductive charging technology as well as some of the challenges that lay ahead. The overall conclusion is that it this is the technology of the future. Reading tip: The Idaho National Lab has looked into how much plug-in hybrids actually drive electric. According to recently published figures, the Chevy Volt has completed the most electric miles and is driving in all-electric mode 94 percent of the time.